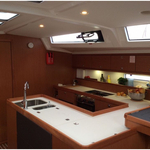 Boat Bavaria Cruiser 56 named Dignity was produced in 2014. We offer this sailboat from harbor Tonnarella just a few kilometers from Sicily. Dignity is licensed for 11 pax. Layout of the boat is 11 (8+2+1). 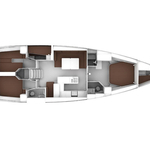 Bavaria Cruiser 56 Dignity has 5 cabins. For guests disposal there are 2 WC with showers. With engine 100 Dignity can navigate really fast. Dignity is 16.75 meters long and 4.76 m wide. 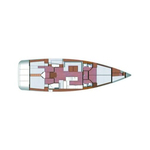 Depth is 2.46 m. Find different boats by going to the section Yacht charter Tonnarella. 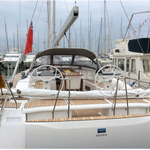 Vessel's equipment includes : Bow thruster, Dinghy, Bimini top, Teak cockpit, Teak deck, Anchor electric windlass, Gps plotter, Autopilot, Radio / cd player, Furling mainsail. . Security deposit accounts for 4000.00 EUR. Choose our offer and have good time on the deck of Dignity . 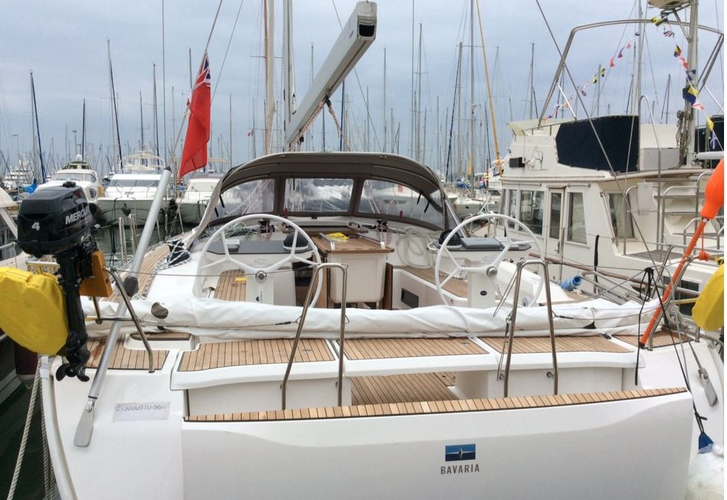 This Bavaria Cruiser 56 from Tonnarella from Italy Click for under this link: Yacht charter Italy.